This is a limited edition print done on 100% smooth rag cotton paper. The original painting was done in oil in 2017 and then professionally photographed. The piece was then thoroughly color checked and a limited edition of 25 was printed. The print measure 6 by 6 inches with a one inch white border. Each piece comes with a certification of authenticity signed and numbered by the artist. 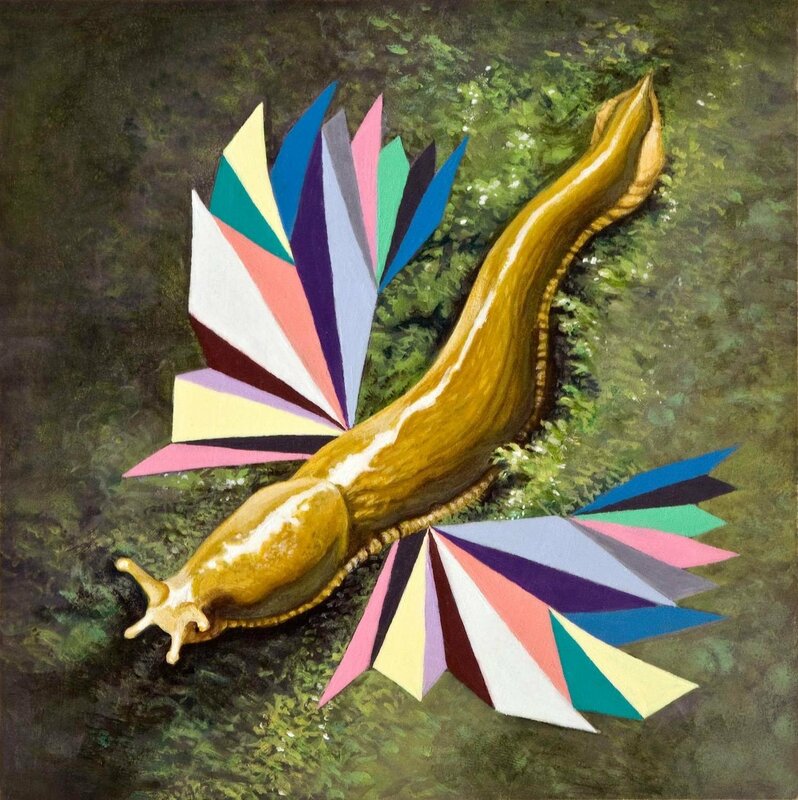 Doesn't every banana slug dream of having multicolored wings?